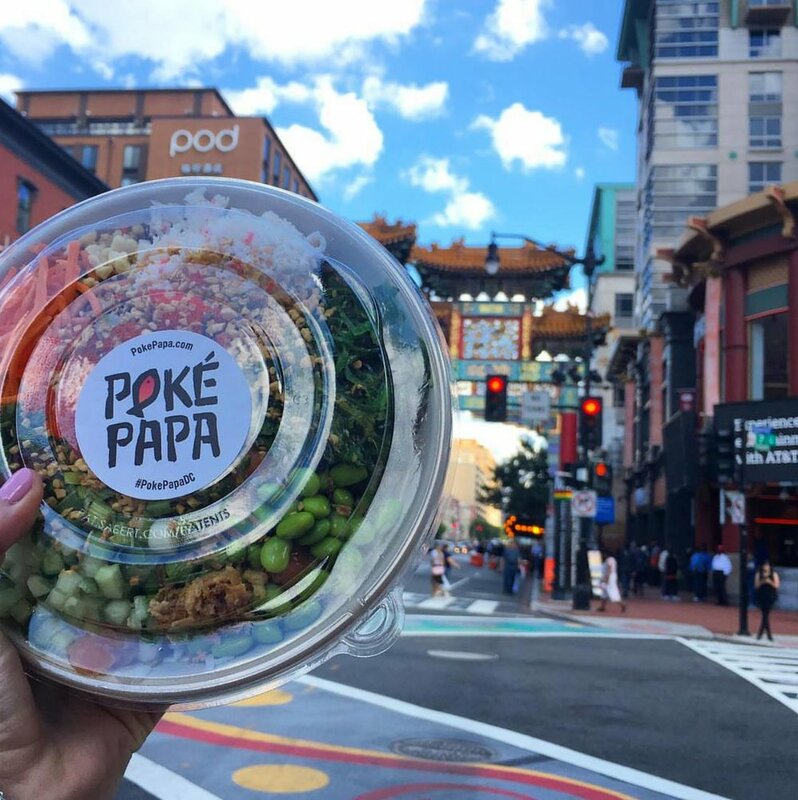 Poke Papa is a fast casual “make your own” poke bowl restaurant in the Chinatown/Penn Quarter neighborhood of DC. Kerry Chao, the restaurant owner, contacted Standout PR two months prior to launch to meet and discuss Public Relations. Together, we created a PR plan to launch the concept in the DC Market. We worked with Chao to create a press release to announce the restaurant opening. Additionally, we planned a social media influencer gathering which allowed various influencers from all over the DMV to come in and try the menu at Poke Papa. We also invited several food writers to come in and try the menu as well, which resulted in press inclusions. Poke Papa’s opening received press mentions in all of the major DC publications. For example, Zagat chose Poke Papa as the number one poke restaurant in the DC area. Additionally, Chao has appeared on 3 television news programs to showcase the restaurant and its creative menu. Roti Modern Mediterranean has been in the DC area for almost 10 years, with a focus on fresh, healthy ingredients, and delicious, authentic Mediterranean flavors. In 2016, the company started a major re-brand, which meant a completely new look, menu changes, and a new interest in relationships with social media influencers. In January of 2017, right before the Foggy Bottom relaunch, Roti hired Standout PR to tell their story, and to increase brand awareness. Using our long standing relationships with local press, along with relationships with social media influencers, Roti was able to see immediate results. With two openings in the DC area, Standout focused on creating buzz for the new locations next to the Nationals baseball stadium and in Pentagon City. Roti's spicy meatballs were featured on The Hungry Lobbyist's blog, which spread like wildfire among the influencer scene throughout DC. The Cauliflower tabbouleh made headlines in DC Refined, proving that cauliflower is more than meets the eye. Mentions included The GW Hatchett, The List, Bad Wolf DC, Veracious Vegan, NoBread, ARL Now, DC Eater, and On Tap Magazine.